Runners from outside Africa are set for a tough day on Sunday (March 26) when Kampala stages the IAAF World Cross Country Championships. 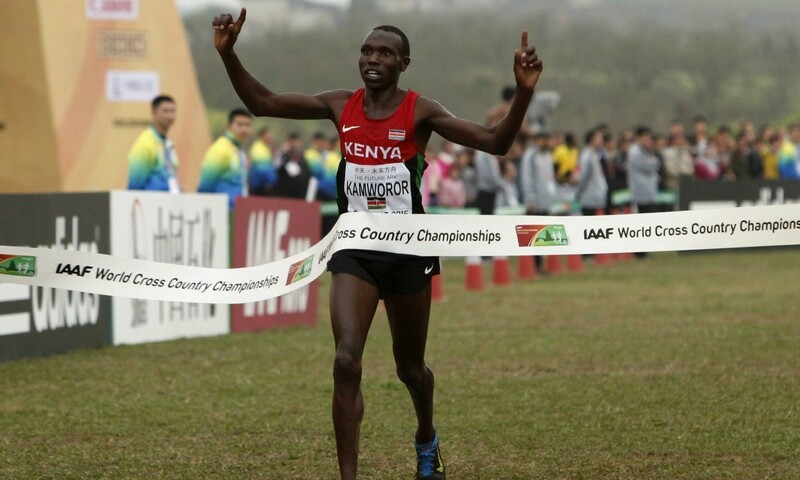 Geoffrey Kamworor (pictured) will try to defend the men’s crown he won in Guiyang, China, two years ago as the now biennial championships is staged in Uganda. As usual, Kenya and Ethiopia will be fighting it out for the main honours and the Ethiopian team includes Muktar Edris, bronze medallist two years ago, and Ibrahim Jeilan. But the host nation is keen to make an impact and their men’s team includes Timothy Toroitich and Stephen Kiprotich. One of the few non-Africans likely to challenge is Leonard Korir, the American who pipped Callum Hawkins in the Great Edinburgh XCountry in January. British Athletics’ decision to pick no senior men has raised eyebrows but none of the nation’s leading athletes – such as Mo Farah, Andy Butchart, Hawkins or Inter-Counties winner Andy Vernon – showed interest in racing in Uganda. Agnes Tirop, the 2015 women’s champion, and Faith Kipyegon, the Olympic 1500m champion, lead Kenyan hopes in the senior women’s race. Bahrain’s Ruth Jebet, the world record-holder and Olympic champion for the 3000m steeplechase, is another contender, while the Ethiopian women’s team includes Senbere Teferei. 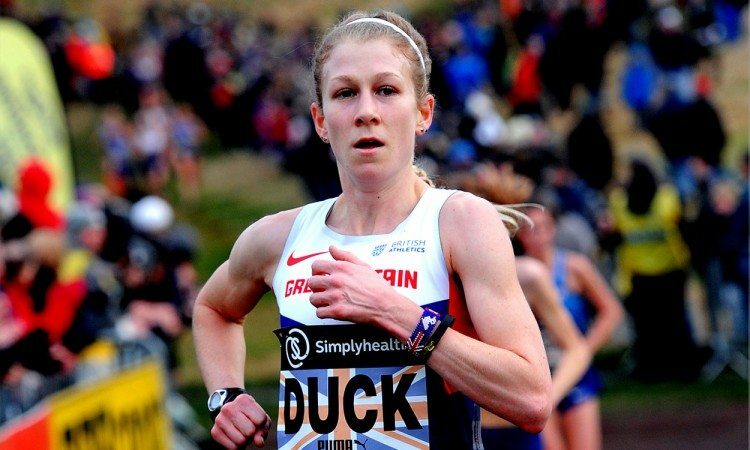 Claire Duck captains the GB team in Kampala and the recent Inter-Counties and English National medallist is joined on the senior women’s team by Emily Hosker-Thornhill, Rebecca Murray and Louise Small. The junior races are always notoriously hard to predict with unknown stars emerging from East African nations. This year the contenders are led by Ethiopian teenager Selemon Barega, the world under-20 men’s 5000m champion who triumphed at the Cinque Mulini meeting at the end of January. Another Ethiopian, Letesenbet Gidey, defends her junior women’s title. Full teams will be representing GB in both junior events, with Inter-Counties winner Jonathan Shields, Scott Beattie, Ben Davies, Hugo Milner, Sam Stevens and Luke Prior on the under-20 men’s team and trials winner Anna MacFadyen joined by Phoebe Barker, Gillian Black, Cari Hughes, Amelia Quirk and Victoria Weir on the women’s team. The event will also feature a mixed relay, which will kick off the action at 14:00 local time. In total, 13 nations are set to contest the mixed relay, with each team comprising two men and two women who will each run a two-kilometre circuit. Genzebe Dibaba and Yomif Kejelcha are among those in the Ethiopian team, while Kenya’s squad includes Asbel Kiprop.